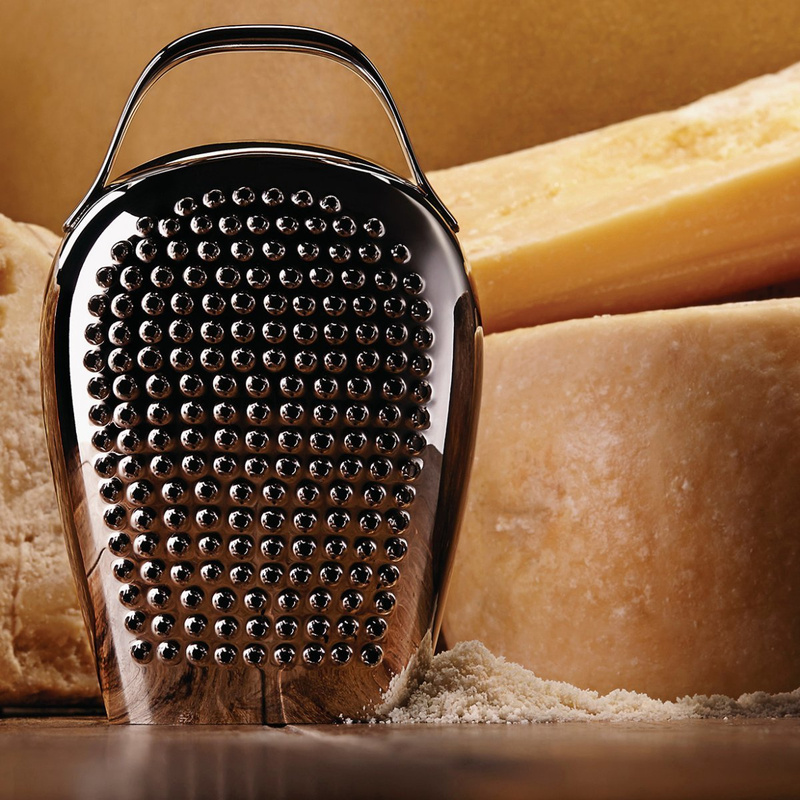 Handicraft production, design, quality and functionality are the hallmarks of all creations by Alessi, including the Cheese Please grater. The company was founded in 1921 and since its birth it has created first-rate products, obtained through craftsmanship. The company immediately realized the importance of working with different designers from all over the world, which has lead it to create products with a strong aesthetic character which is marked by minimalism, functionality, practicality and a unique and unmistakable style. Alessi, over the years has evolved, becoming a landmark of Italian design. This is due to it's ability to mix skills and excellence in order to create innovative products with different characteristics for each. 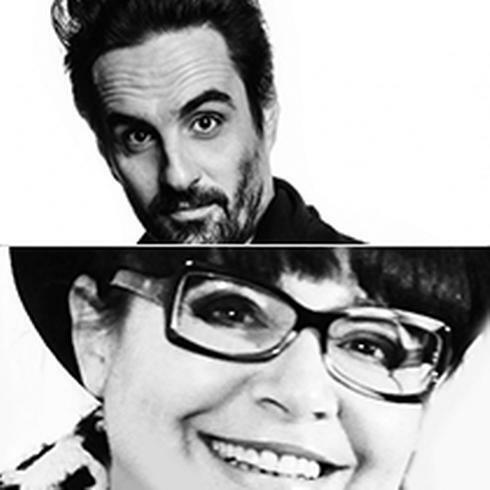 Although it opens its doors to innovation, development and change; Alessi retains the radical structure that it has formed over years of working in the market of kitchen and home products, maintaining the tradition based on craftsmanship that is only helped by the use of machines today. 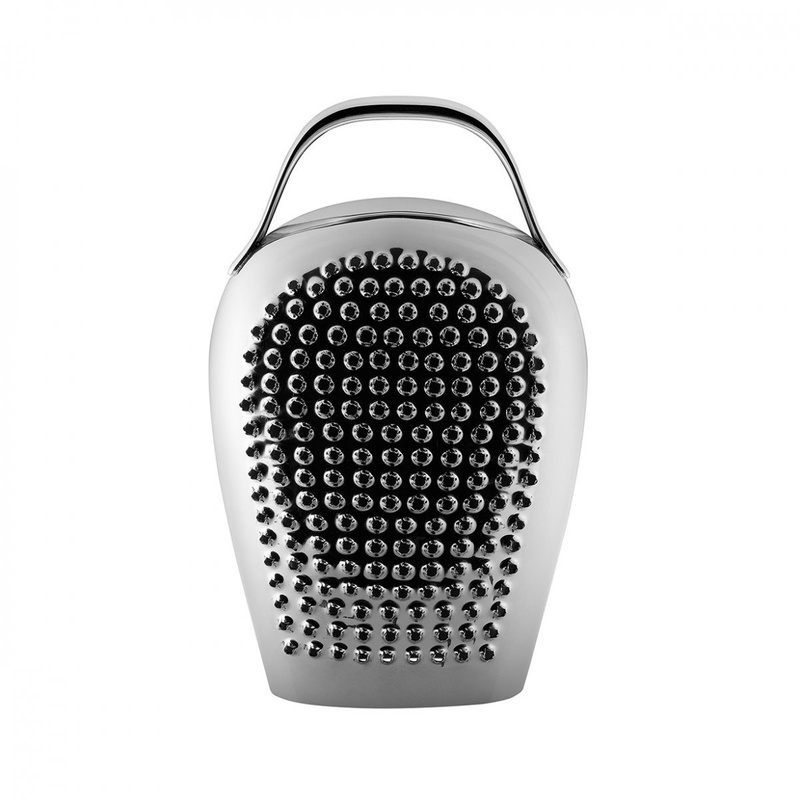 Among the different products designed and manufactured by Alessi one that stands out is the Cheese Please grater. This is a product made entirely of the highest quality 18/10 stainless steel. 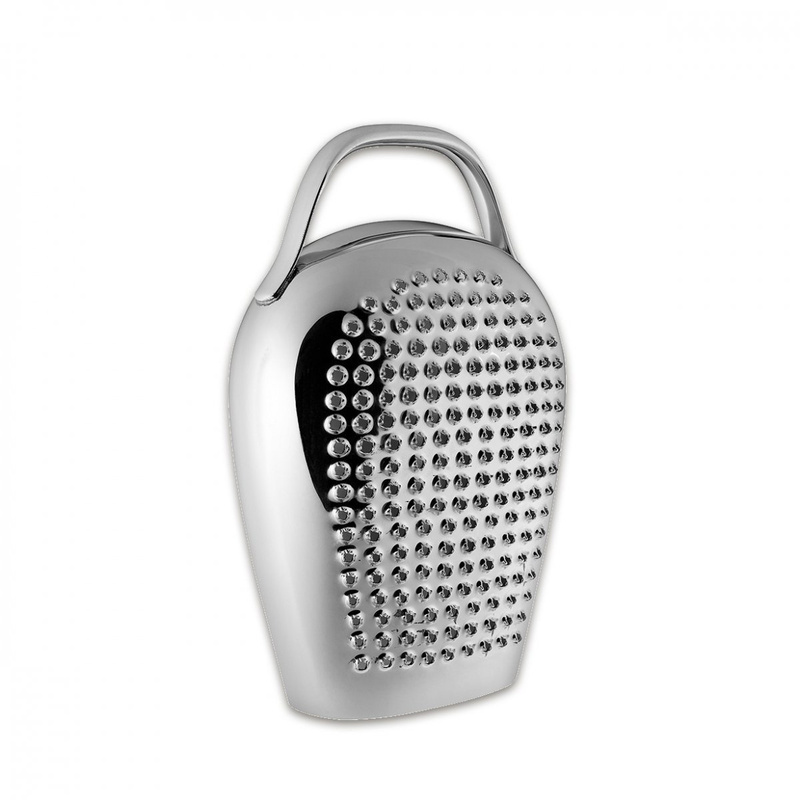 Its small size and particular bell-like shape allow the grater to stand out on the kitchen table or on the kitchen mantle. 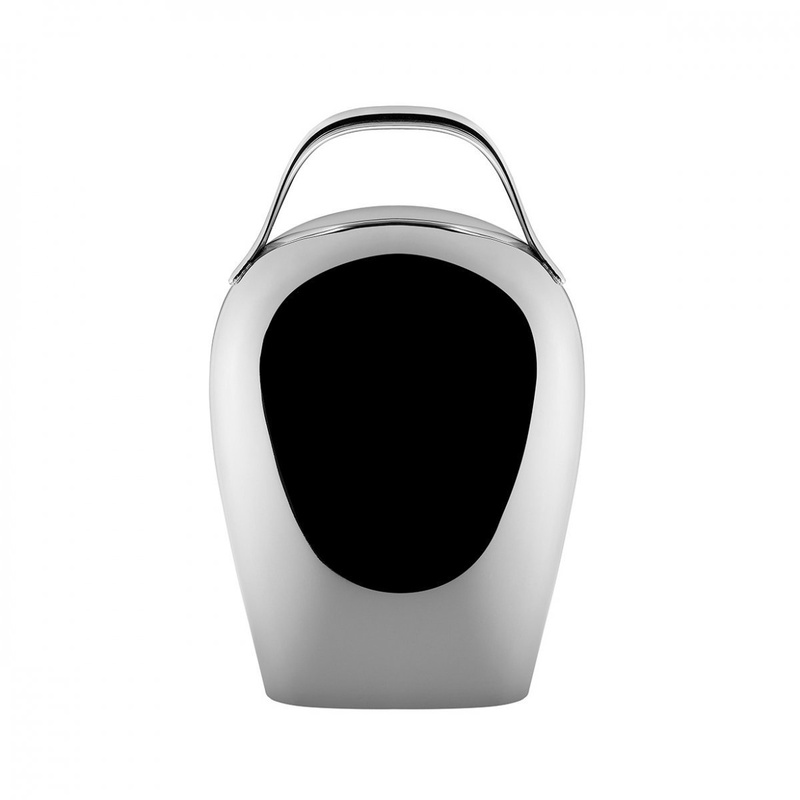 The product is a shiny silver, designed and produced by Alessi in collaboration with Lorenza Bozzoli and Gabriele Chiave. It is a product with an attractive and peculiar shape, with easy handling as well as practicality. 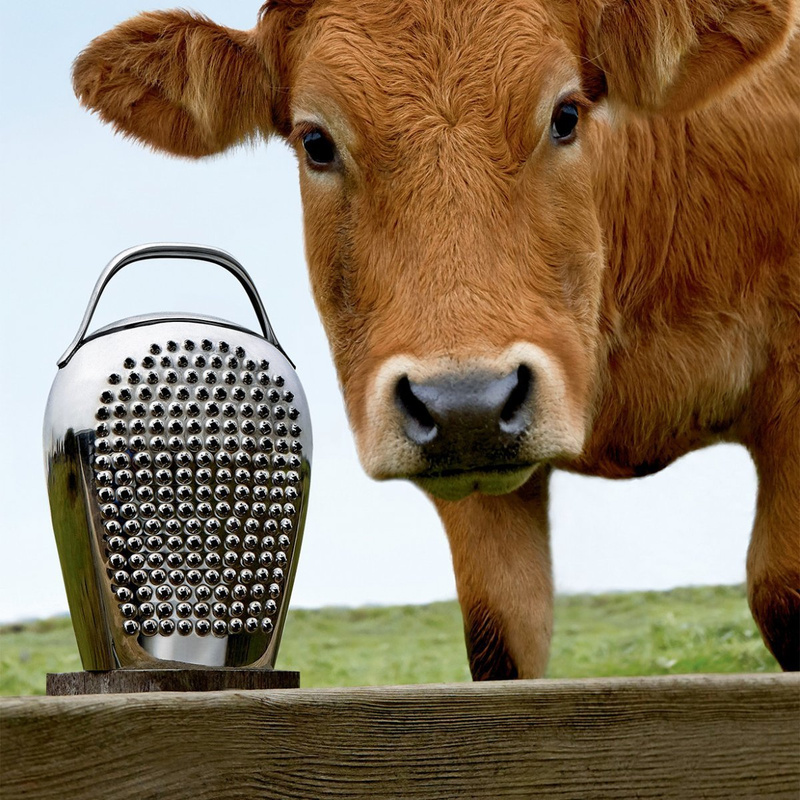 The holes of the grater are round and perfectly circular, with small teeth that allow a better grating of hard cheese such as Parmesan. The Cheese Please grater is unique in look, minimalist and essential. This product is perfect as an innovative idea for a gift. This product is dishwasher safe.